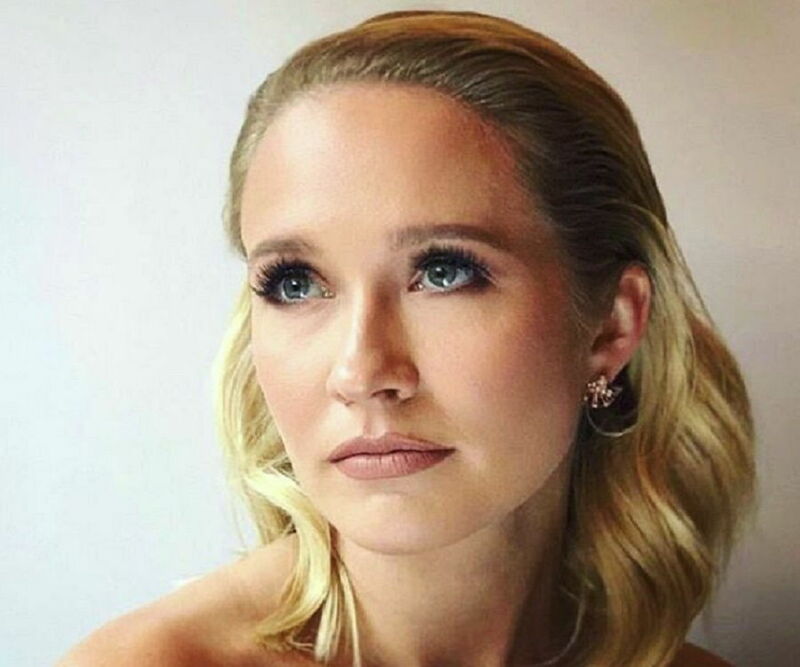 Anna Camp is an American actress known for her role in ‘Pitch Perfect.’ Check out this biography to know about her birthday, childhood, family life, achievements and fun facts about her. Anna Ragsdale Camp is an American actress and singer. She has appeared in TV series such as ‘True Blood’ where she played the role of Sarah Newlin and is also known for her role in the ‘Pitch Perfect’ musical comedy film series. Born in Columbia, South Carolina, she became interested in acting at a young age. She began her acting career with a role in the play ‘columbinus’. She next appeared in the off-Broadway play ‘The Scene’, for which she was nominated for a Lucille Lortel Award. She became known for playing an important role in the second season of the American dark fantasy horror series ‘True Blood’. The series was about a telepathic waitress who falls in love with a vampire, and how she struggles in a world where vampires demand equal rights. It earned positive response from the critics. Her first significant role on the big screen was in the comedy film ‘Pitch Perfect’ which was a huge commercial success. It was also met with positive response from the critics. She reprised her role in the sequels ‘Pitch Perfect 2’ and ‘Pitch Perfect 3’. All the films in the series were major commercial successes and helped to establish Camp as an upcoming actress in Hollywood. Anna Camp was born in Aiken, South Carolina on 27th September 1982. Her mother is Dee Kornegay, who volunteers for the Democratic Party, and her father is Thomas Sewell Camp, a bank executive. She has an elder sister Saluda, who also became an actress. She grew up in Columbia, South Carolina, where she attended Meadowfield Elementary School. During her second grade, she was introduced to acting when she took part in a Drug Abuse Resistance Education production. She later studied at the University of California School of the Arts, from where she graduated in 2004. Shortly after, she moved to New York City. Anna Camp’s professional acting career began with a role in the play ‘columbinus’ in 2005. Two years later, she appeared in the off-Broadway play ‘The Scene’. Her performance earned her a nomination for the Lucille Lortel Award. Her popularity grew as she played the role of Jill Mason in the 2008 revival of ‘Equus’ at the Broadway Theatre. It starred popular actor Daniel Radcliffe in the main role. She made her film debut with a small role in the film ‘And Then Came Love’. After making guest appearances in shows such as ‘Glee’ and ‘The Office’, she played a main role in the second season of the HBO horror series ‘True Blood’. The series aired from 2008 to 2014, and her performance won her a Satellite Award (shared with the other cast members). She next played a role in the period drama series ‘Mad Men’. She also appeared in the series ‘The Good Wife’ and ‘How I Met Your Mother’. In 2011, she appeared in the premiere of the play ‘All New People’. Her next roles on the big screen included a supporting role in the 2011 film ‘The Help’. The film, which was directed by Tate Taylor, was a huge success financially. It also received positive reviews from the critics. She then appeared in the film ‘Forgetting the Girl’, in a main role. Directed by Nate Taylor, the film received positive reviews. She became popular after her work in the 2012 comedy film ‘Pitch Perfect’ where she was seen in a main role. The film was a huge success commercially, earning around $115 on a budget of $17 million. Directed by Jason Moore, the film is about a girls’ musical group from one university, which competes with another girl group from another university. The film was met with positive reviews. She reprised her role in ‘Pitch Perfect 2’ which was released in 2015. It was also a commercial success. Directed by Elizabeth Banks, the film was received favorably by the critics. She once again played her role in the second sequel ‘Pitch Perfect 3’ which also did extremely well at the box office. The other films she appeared in include ‘Autumn Wanderer’ (2014), ‘Brave New Jersey’ (2016) and ‘The Most Hated Woman in America’ (2017). 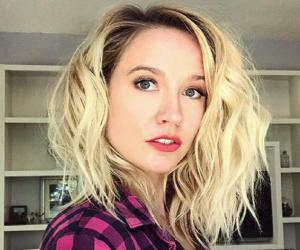 Anna Camp played the role of Sarah Newman in ’True Blood,’ an American dark fantasy horror series which aired from 2008 to 2014. The series was based on the novel series named ‘The Southern Vampire Mysteries’ by Charlaine Harris. The story takes place in a town where vampires come out of the coffins and start demanding equal rights. It was her first important role on TV and was met with positive reviews. She played one of the main roles in the comedy film ‘Pitch Perfect’. Directed by Jason Moore, the film also included actors, such as Anna Kendrick, Skylar Astin, Brittany Snow, Alexis Knapp and Ester Dean. The film revolved around a musical girl group trying to win the Nationals. The film was a critical and commercial success. She also reprised her role in the two sequels of the film. She played a main role in the romantic comedy series ‘The Mindy Project’. Other actors in the series included Mindy Kaling, Chris Messina, Ed Weeks and Amanda Setton. Despite kindling some controversy, the show was met with positive response from the critics. It was nominated for one Emmy Award and also earned other awards and nominations. Anna Camp got engaged to actor Michael Mosley in 2008. They eventually got married in 2010. However, the marriage ended in a divorce in 2013. She later started dating actor Skylar Astin, her co-star from ‘Pitch Perfect,’ and the couple got engaged in January 2016. They tied the knot in September the same year.